With Halloween coming up this week, you might see the word “Corpsumer” and think that the team at VDA is playing some sort of ghoulish trick on you, in the spirit of one of our favorite holidays! This term may rouse some graveyard-esque, other-worldly imagery, but in truth it’s the next marketing buzzword that we think every meeting planner, brand marketer, and consumer should be paying attention to. “Corpsumers don’t just want brands to take a stand, they expect it and act accordingly,” said Carreen Winters, MWWPR’s Chairman of Reputation and Chief Strategy Officer. Hand in hand with the “Corpsumer” attitude towards consumerism comes recent phrase “good-washing,” a term derived from the notoriously disingenuous “green-washing” corporate movement of the last few decades. To gain “Corpsumer” buy-in, companies are expected to put their money where their mouth is, to make sure their actions line up with the issues they’re taking a stand on, and the core values that they’re promoting. If a brand doesn’t have good intentions, it could severely backfire. The powerful “Corpsumer” market segment does not turn a blind eye to a company’s insincere efforts. While 48% of “Corpsumers” believe that companies honestly act in the public’s best interest, most “Corpsumers” are suspicious of a company’s motive, with 59% believing they use social or policy issue for their own gain.2 In exchange for brand loyalty, “Corpsumers” hold companies to higher standards, expecting them to act as good corporate citizens, with an authentic ethos, message, and execution. The “Corpsumer” ideology extends much further beyond consumerism, and into the workforce and job market. The “Corpsumer” population, largely represented by Millennials and, increasingly Generation Z-ers, takes a critical eye to employee treatment and welfare, with 72% of “Corpsumers” being likely to apply to work at a company that took a stand on social and policy issues. When employers prioritize their employee welfare, it goes a long way with “Corpsumers,” helping to establish and build their trust. According to this year’s MWWPR “Corpsumer” study, a company’s “treatment of employees has the greatest impact on purchases decisions,” reinforcing the value “Corpsumers” place on a healthy work environment with safe working conditions, equal pay, and employment opportunities. It’s not enough to talk the talk – you must also walk the walk. And in an interesting “phenomenon” that we like to call the VDA Boomerang Effect” we’ve seen a handful of employees leave VDA to forge their own path – for a new job, to raise kids, or even to move across country… but they always seem to come back! VDA offers a hospitable work environment, flexibility, and equal opportunity, that can be difficult to come by in today’s corporate culture. We may be a small company, but at VDA we believe in a big impact; it’s not enough to talk the talk – you must also walk the walk. VDA is proud to be a “green” company, that values its employees and stays true to its core message. For more information on VDA, the #VDAGIVESBACK campaign, or the Repurposing Initiative, please contact our team at sales@vdainc.com. 1 Admin. 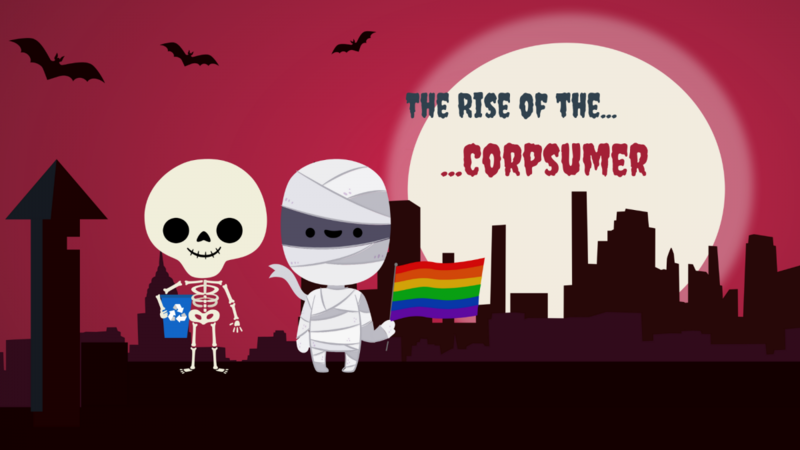 “CorpSumers™ on the Rise: Growing Market Segment Provides Blueprint for Brand Bravery.” MWWPR | Digital & Content Marketing, Communications and Public Affairs, 25 Oct. 2018, www.mww.com/corpsumers-on-the-rise-growing-market-segment-provides-blueprint-for-brand-bravery/. 2 Monllos, Kristina. “Brands Should Take a Stand on Societal Issues But Avoid ‘Goodwashing,’ Study Says.” – Adweek, Adweek, 23 Oct. 2018, www.adweek.com/brand-marketing/brands-should-take-a-stand-on-societal-issues-but-avoid-goodwashing-study-says/?fbclid=IwAR0KthmSwb_q3PHVHuFTZ0v9F6h1LF6RqoT7iEwsmm9E2bNJBNLA59vegXI. 3 Vilas, Nupur. “Top 20 Socially Responsible Companies 2017 | SmartRecruiters.” SmartRecruiters Blog, 22 Aug. 2018, www.smartrecruiters.com/blog/top-20-corporate-social-responsibility-initiatives-for-2017/.